Figure 7. (A) An example of a threshold loading device built from a commercially available positive end-expiratory pressure valve (Ambu PEEP valve; Life-Assist, Rancho Cordova, CA). (B) Typical pressure-flow characteristics of the device, showing the relative flow independence of the threshold pressure. 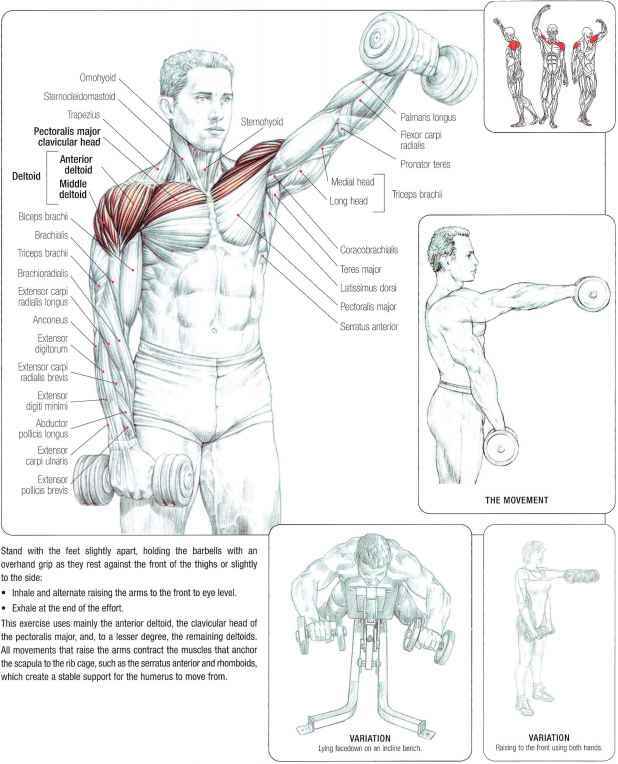 Reprinted by permission from Reference 49.
incremental, whole body exercise testing. Before the study, the patient's PI,max is measured by standard techniques (see Pressure Measurements in Section 2 of this Statement). The subjects inspire from a threshold valve, as described previously, beginning with initial threshold pressures of approximately 30-40% of PI,max. The threshold pressure is then increased by a unit of weight (e.g., 100 g) added to the outside of the valve, resulting in a change in pressure of approximately 5-10% of PI,max, until the load cannot be tolerated for 2 minutes. The maximum inspiratory mouth pressure that can be tolerated for the full 2-minute interval is considered the peak pressure (Ppeak) (8). This technique has generally been applied to the measure of inspiratory muscle endurance. Normal values. Normal values obtained by this technique have not been thoroughly described. Small sets are displayed in Table 2. Results are relatively consistent between laboratories, particularly for the peak PTI that can be achieved in the last stage (PTIpeak, 0.25 to 0.32). Older subjects appear to demonstrate less initial strength (PI,max) but an ability to achieve higher relative PTIpeak values (8), which may be consistent with chest wall adaptations to aging (54). Advantages. The incremental threshold test holds strong appeal as a measure of inspiratory muscle function because it is well tolerated and provides a clear outcome variable that is somewhat easier to define than sustainable efforts. Furthermore, it appears to be sensitive to disease states and clinical treatment (3, 8, 9, 55). The test has been described by the original authors as more reproducible than the technique of Nick-erson and Keens (46); as being tolerated well by naive subjects, who give results similar to those of trained subjects; and having an overall outcome that is little affected by the breathing pattern (56). However, subsequent testing by Eastwood and coworkers (57), using similar techniques, found that normal subjects demonstrate a considerable learning effect from the first to the third trial. An interesting observation is that a peak Wext reaches its highest value and then falls precipitously before attaining Ppeak, while oxygen consumption and pressure development are still rising (50). This means that efficiency is falling during the final stages of the test. it is promising that peak Wext may be a useful measurement of the capacity of the muscles of the chest wall to perform external work, a value that may be as important clinically as the measure of endurance. A second interesting finding is that some subjects are able to achieve higher Ppeak values during this test than they can attain during Pi,max maneuvers (50, 53, 57), a phenomenon attributed to the fact that some subjects are unable to maximally activate their inspiratory muscles during Pi,max testing (58). Disadvantages. Unfortunately, the extent to which the results from incremental tests represent endurance or strength is not entirely clear. Strictly speaking, it is not a test that has been proven to be a direct measure of endurance, just as an incremental exercise test is not generally considered an endurance test. However, when individuals are asked to attempt to sustain the maximum threshold pressure previously reached with the incremental method, the average Tlim they can maintain is approximately 6 minutes (53). This suggests that although the maximum incremental threshold pressure is not sustainable, it is certainly approaching the asymptote of a typical inspiratory muscle endurance curve. 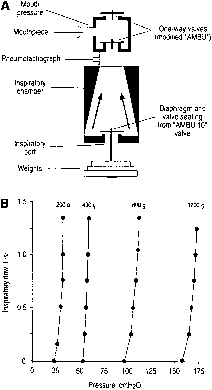 Another suggestion that the threshold test is approximating an endurance measurement is the fact that the maximum PTImo in the last stage is approximately 0.220.32 (50, 57), which is similar to sustainable pressures described for the rib cage muscles (2) and the inspiratory muscles working in synergy in a normal range of duty cycles and low flow (13). Of some concern is the tendency for hypoventilation and desaturation during the test (57). Although modest desaturation is unlikely to affect the measurement appreciably in normal subjects (57, 59), hypercapnia may contribute to a loss of function, unrelated to endurance characteristics (60, 61). Finally, as the intensity of the load increases, subjects consistently decrease end-expiratory lung volume to maximize the length and configuration of their inspiratory muscles (57). This is something of a disadvantage for testing, because the capacity of the muscles to contract against the load is changing during the test. However, it is likely that such changes in configuration are typical of patient responses to many types of high inspiratory mechanical or ventilatory loads and is not a problem unique to incremental loading. Finally, the recruitment patterns of the respiratory muscles may vary during incremental loading and may not totally reflect the endurance characteristics of breathing against constant submaximal loads.